Mucositis is defined as damage to the mucosa of the alimentary tract occurring as a result of chemotherapy and/or radiation therapy. Oral mucositis refers to mucosal damage restricted to the oral cavity and oropharynx. Oral mucositis often occurs with concurrent chemoradiation in the treatment of head and neck cancers. Patients report oral mucositis as the single most troublesome acute side effect of radiation therapy (RT) to the head and neck . Similarly, some patients report their oral symptoms as the worst side effect of their chemotherapy . Typically, oral mucositis is very painful. This pain impairs nutritional intake and quality of life and often requires opioid analgesics [3, 4]. 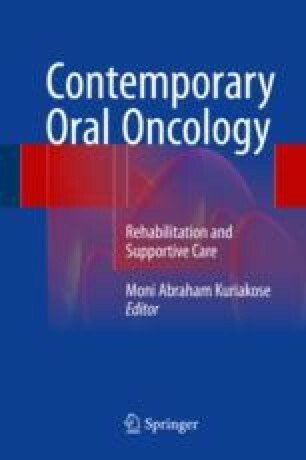 Complications of oral mucositis cause patients to need hospitalization or breaks in treatment in up to 11 % of cases [5, 6]. Severe mucositis can almost double the supportive care costs of patients .